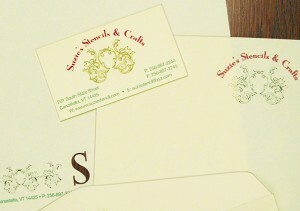 Posted in Blog, Laser Die Cut Business Cards, Laser Stencil Cutting. Custom laser die cutting allows you to be more creative with your company’s visual identity. With laser cut business cards, letterhead and promotional materials, your company will make a first impression that is both innovative and professional. LaserLogik offers laser processing advantages to designers, ad agencies and printers, allowing for intricate laser cutting features not feasible with traditional die-cutting methods. They can accommodate the tighter tolerances that complex designs require. The laser has the capability to process a variety of materials including most weights of paper, cardboard, vellum, plastic, label stock, rubber and more. Your corporate identity will get noticed when you have access to limitless cutting capabilities. The laser finishing process is entirely digital, allowing you to make last minute design alterations without long delays or costly fabrications. CAD tooling software makes pattern changes or adjustments simple and quick. When doing direct mailings, sending invitations or promotional items, your marketing materials will dazzle and impress your clients when you choose multi-dimensional design using laser cutting technology. A combination of creatively designed printing and expert laser cutting service will promote a professional impression that will inspire confidence in you and your company. Look through the doors of innovation and see a world of exquisite and unique laser cut marketing materials that will attract attention and get you noticed.